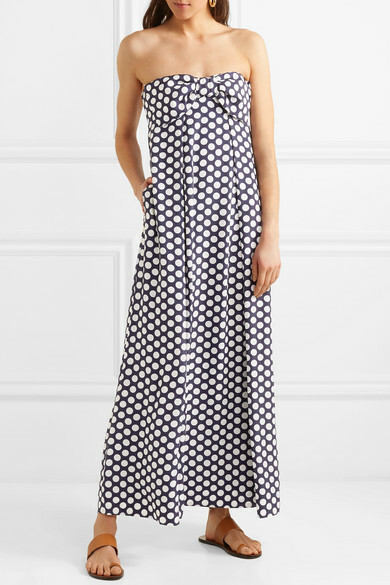 J.Crew's maxi dress is designed in a bold polka-dot pattern that's perfect for your next summer vacation. 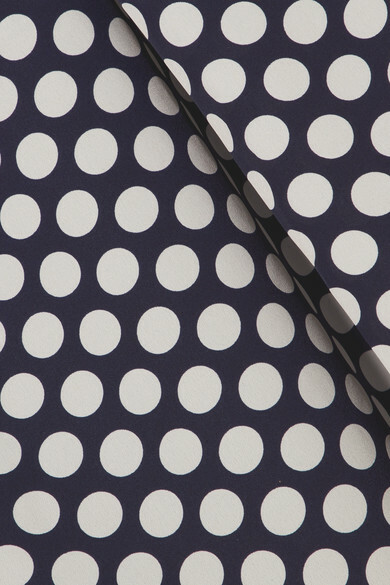 It's cut from chiffon with a bow-embellished bodice and falls to a pleated skirt. 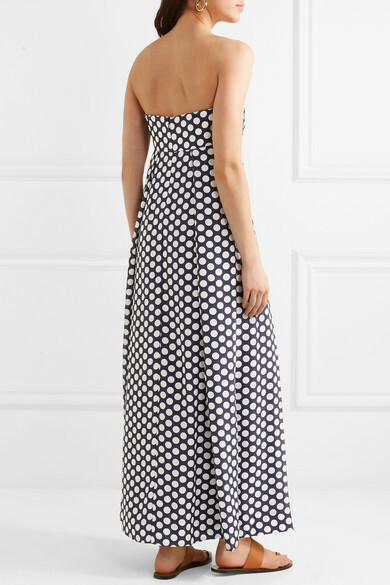 The strapless silhouette means you can avoid awkward tanlines when strolling along the beach in the mid-afternoon sun. 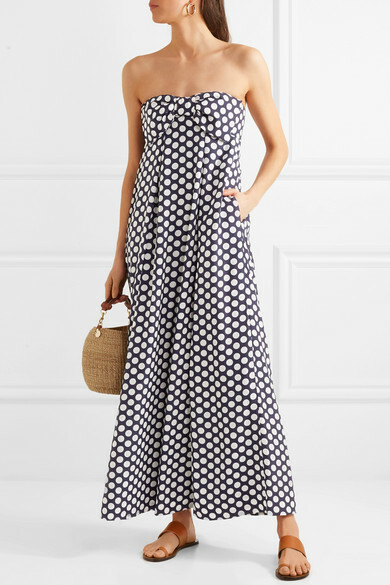 Shown here with: Clare V. Tote, ATP Atelier Sandals, Laura Lombardi Earrings.